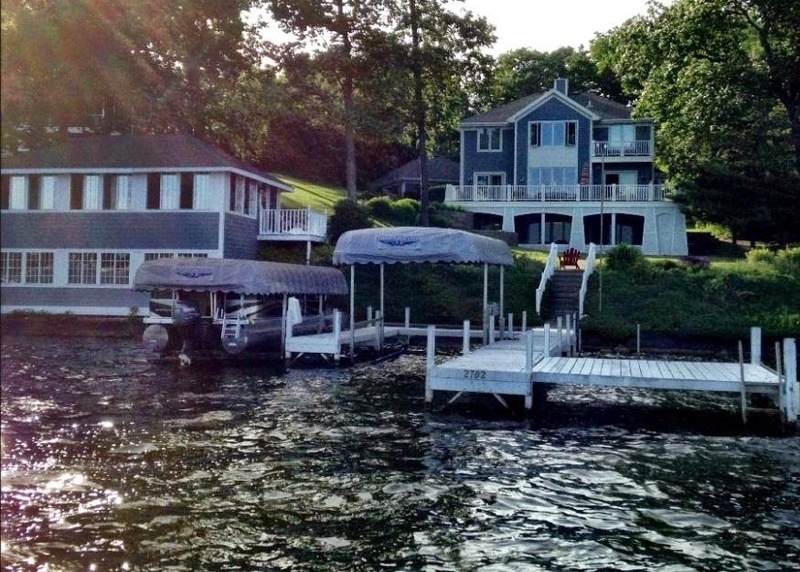 With one of the largest boat houses on Delavan Lake, you cannot get much closer to the water than with the newly listed 2702 Willow Point Drive. The boat house alone is worth taking a close look at this lakefront beauty. Imagine yourself, entertaining guests at the water's edge. The spacious second floor room features wrap around windows, built in bar, cathedral ceiling, and expansive lake views. You can hear the waves lap against the seawall, and we haven't even gotten in to the main house. 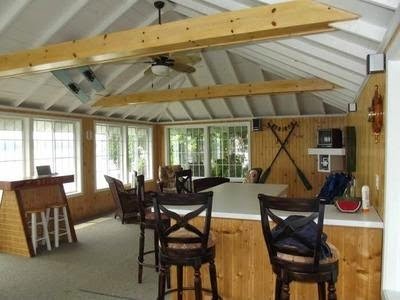 Inside the boat house at 2702 Willow Point. Ready for entertaining. Recently remodeled to open up the views to the lake, this Nantucket-style three story home includes five bedrooms, six baths, three-car garage and 125 feet of private lakefront. The main floor welcomes guests with wood floors though out, granite counters in the kitchen, trey ceiling in the study, natural fireplace and French doors to the expansive waterfront deck. Lake living with open concept and views out to the water. Upstairs are four gracious bedrooms including a master suite with private balcony, walk-in shower, tile flooring and lake views. 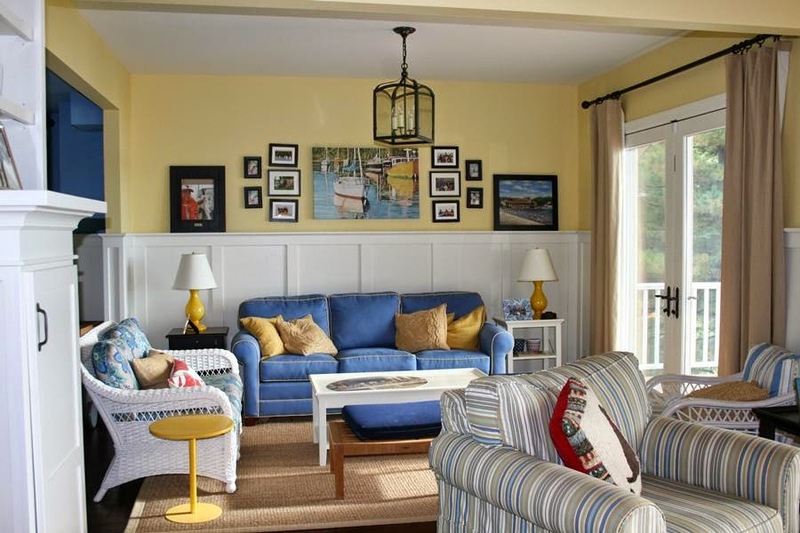 The lower level houses a fourth bedroom with additional full bath, a game room and video room looking out towards the lake and a covered porch area. Listed at $1,299,000 the home also includes an oversized pier system for docking several watercraft and fishing or simply taking in the sun.